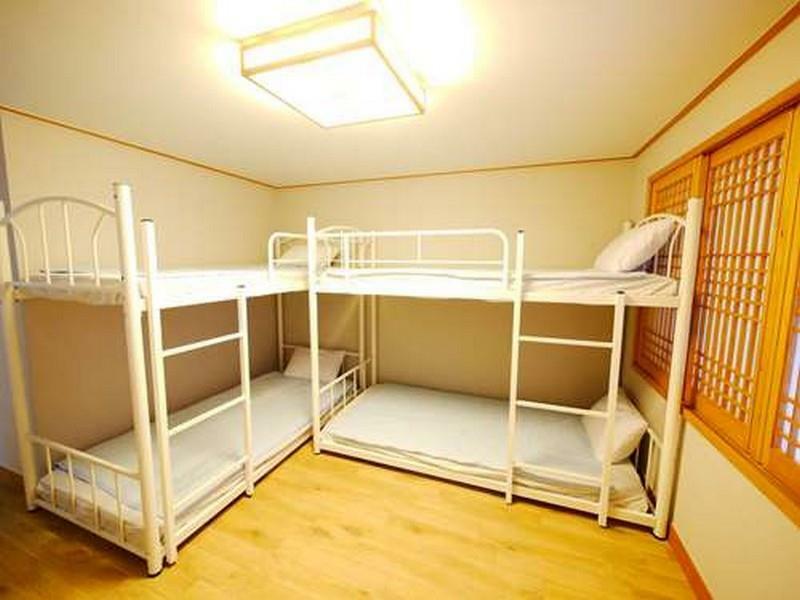 Heeft u een vraag voor Seoul I Guesthouse? Ontworpen voor zowel zakelijke reizigers als toeristen, is Seoul I Guesthouse ideaal gelegen in Hongdae; één van de meest populaire buurten van de stad. Het levendige stadscentrum is slechts verwijderd. Dankzij de praktische ligging, biedt de accommodatie eenvoudig toegang tot alle belangrijke trekpleisters van de stad. De faciliteiten en diensten die door Seoul I Guesthouse worden geboden, garanderen een plezierig verblijf voor gasten. Gasten kunnen gebruikmaken van de voorzieningen terplaatse zoals gratis wi-fi in alle kamers, wasserette, snel in- en uitchecken, bagageopslag, wi-fi in openbare ruimtes. Gasten kunnen kiezen uit 7 kamers, welke stuk voor stuk plezierig en comfortabel zijn ingericht. De accommodatie biedt talrijke recreatieve mogelijkheden, zodat u voldoende te doen heeft tijdens uw verblijf . 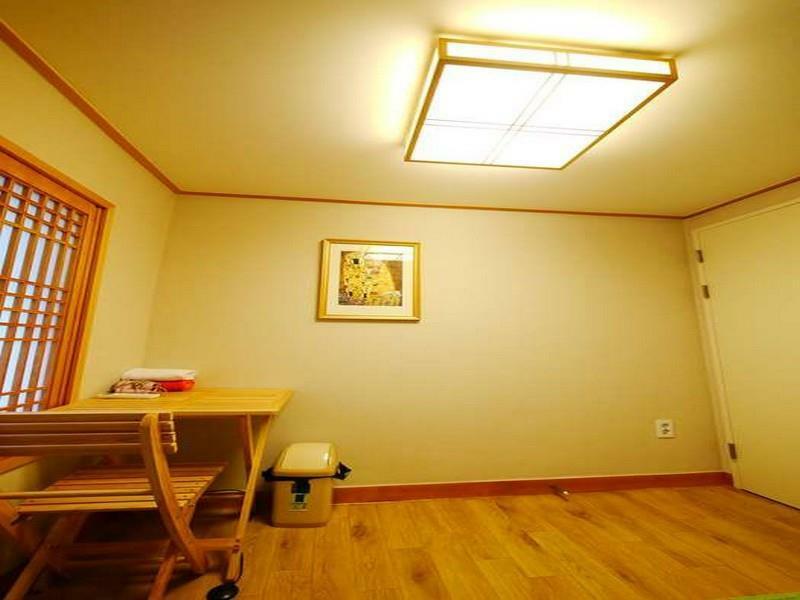 Geniet van een geweldige locatie en ongeëvenaarde services in Seoul I Guesthouse. very near the subway station. room is clean and bed is also comfortable for sleep There are kitchen for cook and cold /hot water provided. Computer are also provided. Bathroom is little bit not enough for the dorm floor. But you can go down for another bathroom. Deposit is required when check-in. Stayed 4 nites. Great staff and very close to the subway. Room is a little cramp. Bed has curtains which is great for privacy. Clean toilet/bathrooms. Provides egg, bread and jams for breakfast. Has a rooftop where u can chill. No elevator but my room was on the 2nd flr (just 1 flight of stairs) where the recep counter is so not too bad even if with suitcase. Do not remember seeing any bath soap or shampoo, had my own so didnt notice. My flight arrived late at night and their reception desk was closed already. I booked the guesthouse last minute but they were able to immediately message me all the instructions and even put sticky notes on the door and on my bed and even apologized that they could not meet me personally. I was really grateful to the staff who allowed me to store my luggage before I left for the airport. I also met great people when I was staying there and became good friends with them!!!! I will stay here again if I come back to Seoul. Second stay in this hostel. Fast check in. 10000won deposit needed for a key. Remember to get it back from the staff if you prepare to leave the hostel the next day early in the morning. The bedsheet has some stain but they provide another layer to make a sandwich bed so it's still acceptable for me. Location is good for me to get to the train station in 3 minutes time and yet not too noisy from the crowd. Stayed at this hostel for a week. Location is pretty great, just a minute walk from exit 3 of Hongik University station, which have direct metro from Incheon Station. Besides that its also convenient to go other places since this is a transfer station. It is happening during night time. Alot of food stalls at this area. 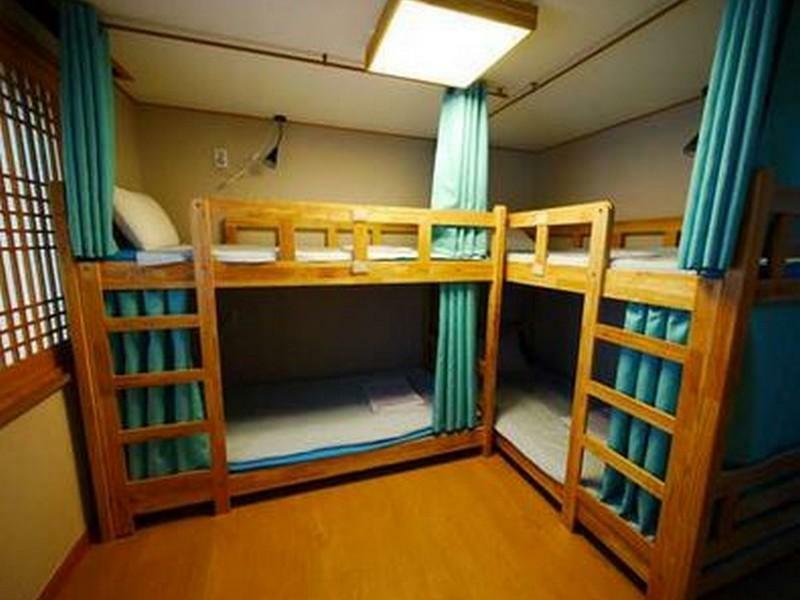 Hostel is very clean in the room and bathroom as well. Instructions was given very clear about their service provided. Highly recommend to everyone. Like the black and white paint of the building with external staircase leading to 2nd, 3rd and rooftop. Stayed on 1st floor, with upper deck and mattress on the floor. 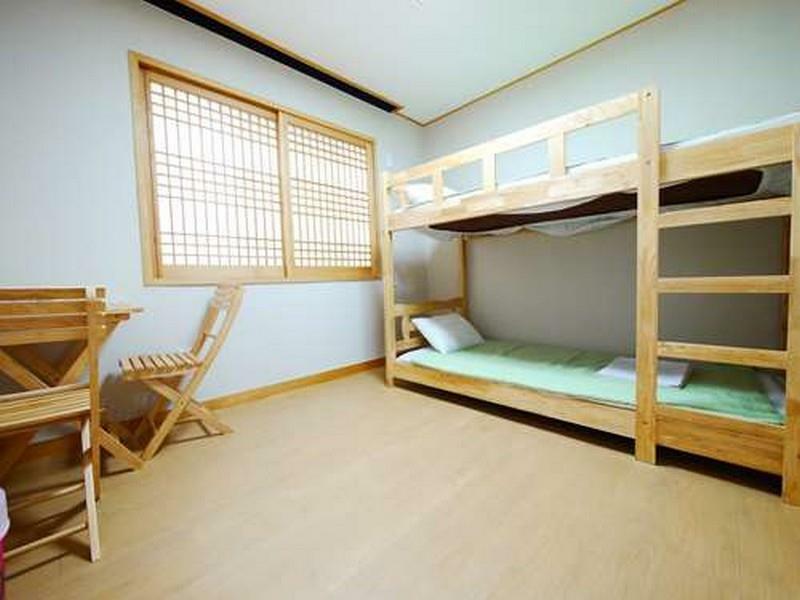 It feels like the hanok guesthouse from inside and modern from outside. However, it's a pity there's no ondul heating on the floor during my stay in late Jan. So I'm not even sure if they have. Very near to hongik uni subway, but it's to the quieter side of the hongdae shopping area. no fear, as there are lots of eateries nearby too. Didn't exactly like the restroom on ground floor as I don't particularly like shower head that shares same tap with the basin, and droplets dropping from the ceiling. Still I think value for price. i dont have anything to complaint abt this place. i love it so much. i'll be coming back to the place again definitely! hope to get same room again! love the staff, they hv been very friendly and helpful! We love the stay here. very near to metro station, and a lot restaurants nearby. i'll go with my female friends and the location are awesome. the staff really nice. Great staff all can speak in well English can assist and standby majority time. Small room but homely and very clean. Sharing bathroom but anyway is clean just need to adjust a bit more time at morning as everyone is rushing to go out. 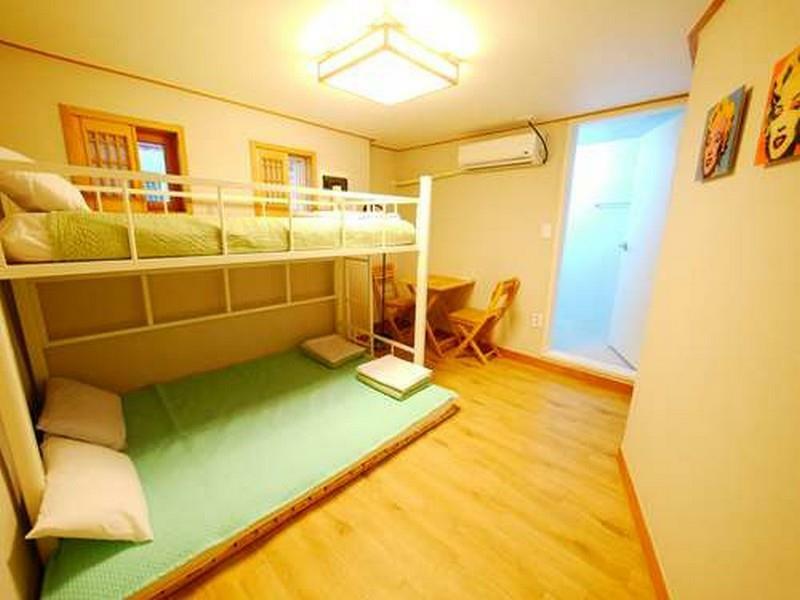 Great location really near subway station, food store is surrounding and walking distribut to Hongdae night market. I just needed to stay one night before taking a flight from Inchen Airport following day so I chose this guest house. It was very close to the subway station and the subway station has Airport Railroad Line so it was very convenient to go to the airport. The staff there were all very helpful and nice. The room was clean and even toilet was not bad. I definitely will stay here again if I need to stay in Seoul. I stay in the single room but the room is small and not many things provided. They use share bathroom but it's not clean enough and no body cleanser provided but hv shampoo lol. The bed is not clean enough and some mosquito comes into my room. The bed sheet shows some saliva pattern. However,the staff was nice to me with good English. I found there are mostly western foreigner lived there. My stay at the guesthouse was rather great. The staff were friendly and helpful. Great chance to meet other travelers as well! I would recommend this place for solo travelers as you would also have your own space at the end of the day (behind the curtains of your bed). 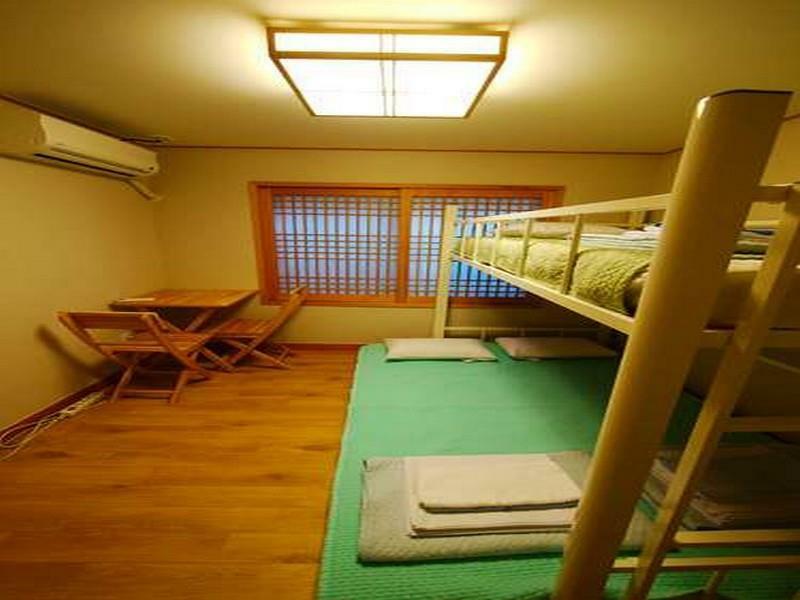 It is also very convenient to access what the Hongdae area has to offer.